Since 1999, DLSPA has been teaching people of all ages a wide variety of dance, voice, art, drawing, theater arts, musical instrument classes, as well as computer training, and STAR TRACK academic tutoring. DLSPA provides a positive and safe environment for children, teenagers and adults to learn and develop talents in these areas. The studio is located at 15225 Interstate10, conveniently located on the frontage road between 3180 and 565. Our annual recital is held in May. Classes are progressive so please make every effort to be in class. All students are expected to attend classes regularly. When excessive classes are missed, private class(es) may be requested by the instructor to catch up the student. Space is limited for our August Rush program, where each instructor accepts 6 private students to work with during the month of August (4 x 30 minute sessions). This is a great opportunity for beginner students to get a 'jump start' on the fall session. For the more advanced students, it is a good chance to polish and fine tune your skills with one-on-one instruction. 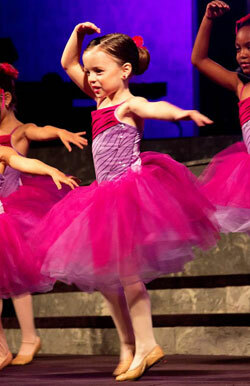 We are excited to offer Performing Vocal Ensemble and Performing Dance Team classes at DLSPA. Auditions are held in late August. There are requirements to be accepted into this class. Should your student be accepted after his/her audition, he/she must also be enrolled in a group vocal or dance class to continue to strengthen and expand their range and develop their abilities. The performing teams will focus on performance, skill development and presentation. Both will be given opportunities to perform throughout the fall/spring season. This tuition will be $60. Math, Reading, Writing, Language Arts, Science, Early Math, STAAR Math, Early Reading, STAAR Reading, Early Writing, STAAR Writing STAAR Science. Weekly tutorials offered by qualified, certified teachers for homeschool, private school or public school, elementary and junior high students. STAR TRACKS tuition is $120 per month when offered.